We previously announced that the Challenger skin would contribute to the 2017 Mid-Season Invitational prize pool just like Championship Zed for the World Championship. As we explained in our PBE post, we took this opportunity to rethink the skin line that normally launches for start of season, and created something we think fits much better with MSI 2017. With this redesign we’ll also be renaming the line to “Conqueror” — a title more evocative of the regional clash at the Mid-Season Invitational each year — and the single victor that it crowns. For the Conqueror skin line, we chose an esports-resonant champion based on pro play rates at Worlds to give us enough time to create a high-quality skin. 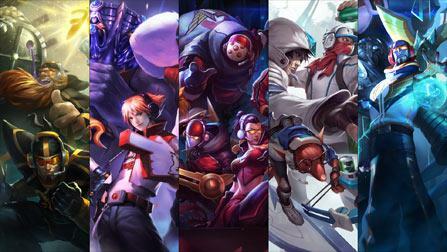 Similarly, the Championship skin launching at Worlds will use top play rates from MSI. 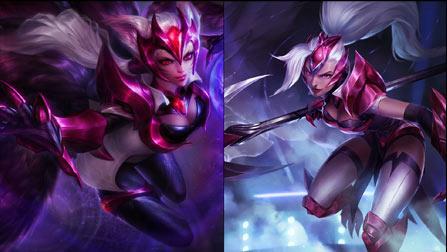 For both of these skin lines, we also consider other factors like how well the champion fits the skin’s aesthetic and champion usage among all players. Conqueror Karma will be available in the store from April 24, 2017 through May 24, 2017 23:59 PT for 975 RP. 25% of the total sales from Conqueror Karma and Conqueror ward skin sales will be contributed to the MSI 2017 prize pool. During MSI 2017 only, players can unlock the MSI 2017 Conqueror Karma Bundle to raise the stakes of the prize pool and get more exclusives. To pay tribute to our players who are supporting esports, the MSI 2017 Conqueror Karma Bundle includes content that will not be coming back to the store. The additional content includes the Conqueror Ward (not exclusive) and an exclusive Conqueror Karma Summoner Icon and loading screen border. While Conqueror Karma will return during Worlds and MSI each year, the loading screen border and icon are meant to commemorate players who were playing and watching during the event, so they will not return to the store. You’ll be able to pick up the MSI 2017 Conqueror Karma Bundle for 1616 RP (2208 RP if you need the champion) from April 24, 2017 through May 24, 2017 23:59 PT. Players that purchase the skin and ward skin separately rather than through the bundle will still be granted the Conqueror Karma Icon and special loading screen border after the conclusion of the event to make sure that no one misses out by mistake! Make sure to pick up the full bundle to get the icon and border right away! We’re bringing the rivalry to the Rift, where players will be able to represent their region in the MSI 2017 Fandom Contest. 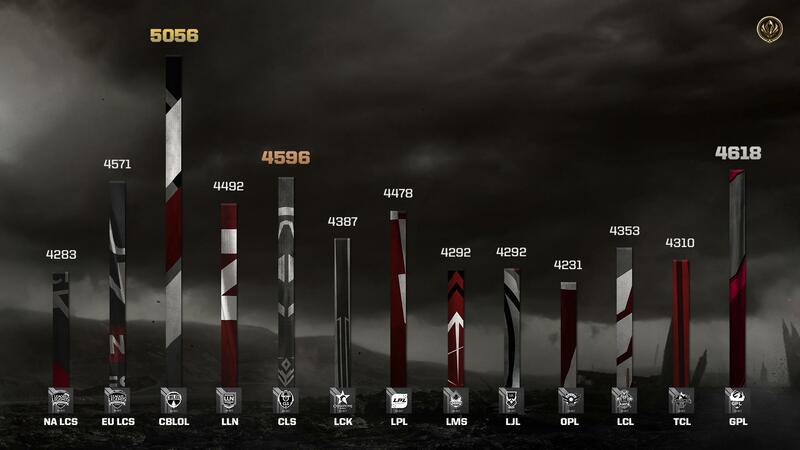 The region with the highest percentage of players equipping their MSI 2017 icon and playing games will dominate the leaderboard and unlock rewards for all players participating. Both the region who wins the contest along with the region whose team wins MSI 2017 will receive an MSI 2017 winner’s icon and a three-day IP boost. Your region’s icon will be available in the store for 1 IP, alongside 250 RP Tier 2 icons for all global regions that come with a temporary emote usable during the event from April 24, 2017 - May 21, 2017 11:59 PT. All regional icons, either for IP or RP, contribute to the MSI Fandom Battle. The battle will end just before the tournament’s final day, on May 20, 2017 at 16:00 PT. As a small bonus, we’re also increasing the gemstone drop rate by 50%, with a rare chance to obtain up to three gemstones per capsule. Throughout MSI this year, you’ll also see some celebratory decorations on the Rift. Keep an eye out for event banners flying in each base and the MSI 2017 logo emblazoned on mid lane. Will future purchases of Conqueror Karma contribute to esports this year (i.e., during Worlds)? No, only during MSI 2017 from April 24, 2017 through May 24, 2017 23:59 PT will Conqueror Karma contribute to the prize pool. Does the Pentakill and Baron Steal trigger affect Hextech Chests or the MSI Capsule? No it does not, only mystery gifts. Do both the IP and RP icons contribute to the contest? Can I use my old MSI icons to contribute to the contest? Can I contribute to other regions’ leaderboards? Yes, you can contribute points to whichever region whose icon you’re wearing, but only your home region’s icon will be free in the store. If you support the winning region, regardless of whether or not you’re on that server, you will receive the rewards! Is there a limit on how many MSI Capsules I can purchase? How does the MSI prize pool work? The MSI prize pool is made up of a base of $250,000, coupled with 25% of the total sale of Conqueror Karma and ward skins, which is guaranteed to be at least $750,000, for a total prize pool of at least $1 million.